There are many different style boats that carry guests around the water ways of Walt Disney World. 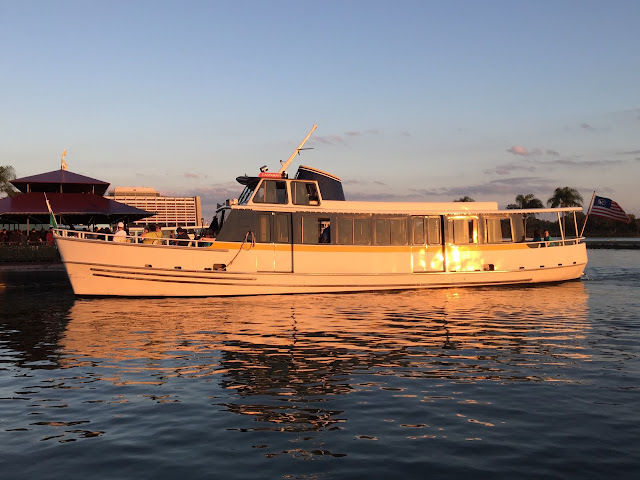 This "motor cruiser" is used for the route between the Magic Kingdom, Fort Wilderness, and Wilderness Lodge. The Castaways, pictured here, is one of three motor cruisers used by Disney. I was sitting on a smaller "motor launch," about to set sail for the Grand Floridian, when I snapped this shot at the Magic Kingdom dock a few days ago.